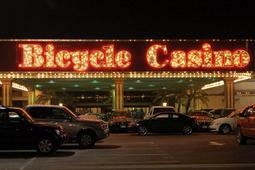 The 2012 WPT Legends of Poker series of 37-events at the Bicycle Casino in Bell Gardens, CA will reach its climax this week, with the $3,700 World Poker Tour Legends of Poker main event finishing things off with a bang. The main event begins at noon on Friday, August 24th and will continue until a new WPT champion is determined on Aug. 29th. This is a re-entry event, with players who are eliminated on day 1A able to buy-in again on day 1B. Registration will be open for six hours on both starting days, and pre-registration is available on the World Poker Tour’s website. The structure can be downloaded here. Last year’s running of this event drew 757 total entries, creating a sizable $2,570,015 prize pool, the lion’s share of which went to eventual champion Will “The Thrill” Failla. 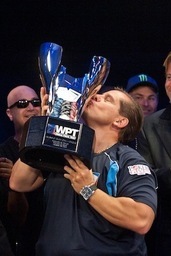 For winning his first WPT title Failla was awarded the $758,085 first-place prize and 1,440 Card Player Player of the Year points. Failla topped a tough final nine, outlasting Ken Aldridge (2nd – $365,800), Owais Ahmed (6th – $77,100) and Ray Henson (7th – $64,250) en route to the biggest payday of his career. Other past champions of this prestigious title include Doyle Brunson, Dan Harrington, John Phan, Mel Judah, and Andy Frankenberger.